BrainChip Releases Client / Server Interface Tool for SNAP Technology :: BrainChip Holdings Ltd.
ALISO VIEJO, CA -- (Marketwired) -- 03/15/16 -- BrainChip Holdings Limited (ASX: BRN), developer of a revolutionary new Spiking Neuron Adaptive Processor (SNAP) technology that has the ability to learn autonomously, evolve and associate information just like the human brain, has achieved its goal of developing and releasing a Client / Server Interface Tool (Milestone 3) to its autonomously learning SNAP technology, ahead of schedule and within budget. Strong advantages over deep learning through instant training and autonomous feature learning. Remotely accessible rapid machine learning device, available to strategic developers over a remote Client / Server API, accessible via the internet. Rapid unsupervised learning achieved -- disruptive event in Artificial Intelligence (AI) technology. Video link: http://ir.brainchipinc.com/ . Client / Server Interface Tool is available with the recently announced Autonomous Visual Feature Extraction (AVFE) functionality. The successful development and subsequent deployment of the remote Client / Server Interface Tool creates a live environment for developers to remotely access BrainChip's SNAP technology. This allows the Company to effectively showcase SNAP's many advantages by making the Client / Server Interface API available to a large community of strategic developers, who have the opportunity to gain hands-on experience with BrainChip's autonomously learning SNAP neural processor technology. On 23 February 2016, the Company announced its Autonomous Feature Extraction capability that rapidly and autonomously learns to distinguish features in input data. 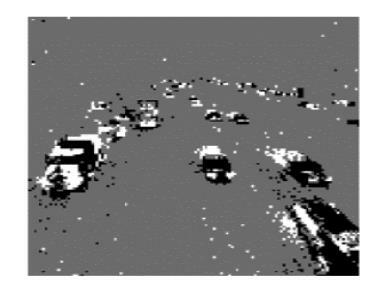 This capability was demonstrated via BrainChip's Autonomous Visual Feature Extraction (AVFE) system that learned to recognize cars passing on a freeway, and then counts them. In contrast, Deep Learning techniques require millions of samples to be trained on specific features. SNAP learns from just a few samples and in seconds. This rapid learning capability opens up a wide range of potential application areas where rapid learning is needed and Deep Learning cannot be used. Together with this rapid autonomous learning capability, the Client / Server Interface API enables SNAP to be showcased to a significant number of potential clients, and BrainChip is very confident that licensing opportunities will follow for the Company. A Client / Server Interface functions much like a browser to a web page. In this case the browser is the Client, and the web page runs on a server. The browser receives information, through the internet, from the Server. 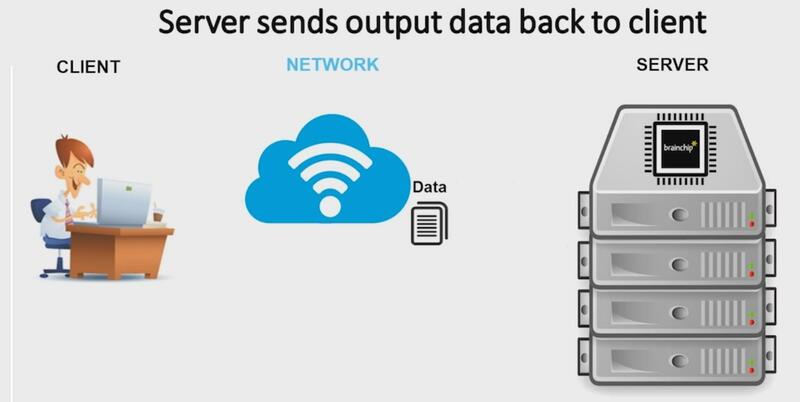 In BrainChip's Client / Server Interface Tool the SNAP Neural processor is configured to perform Autonomous Feature Extraction and is connected to an internet server through a fast communications buffer. An Application Program Interface (API) layer provides developers access to the SNAP buffer memory to upload video or audio streams. The client can use the API to configure the network, upload data files to the buffer memory of the SNAP processor, and almost instantly retrieve results from another fast communications buffer. These input and output memory buffers allow the SNAP technology to process the data at full speed, and deliver the results almost instantly to the client. The SNAP neural network learns features that exist in the uploaded data, even when they are not distinguishable by human means. Autonomous machine learning has long been an elusive target in computer science. Recursive programs are cumbersome and take a long time to process. BrainChip has accomplished rapid autonomous machine learning in its patented hardware-only solution by replicating the learning ability of the brain, by re-engineering the way neural networks function, and by creating a new way of computing culminating in the SNAP technology. Applications that greatly benefit from rapid learning and subsequent image recognition include such tools as finding specific people in big image data, in video streams for instance. A remote user can develop applications for the SNAP Autonomous Learning processor by initializing the network, and upload large amounts of data to the buffer memory and then download the results. This online process enables the rapid development and integration of SNAP into end user applications. The SNAP processor is not only intelligent; it is incredibly fast; the hardware processes an astonishing 100 million input events per second. The use of input and output buffers greatly improves the speed of the Client / Server Interface, and makes it possible for the network to be configured and used anywhere in the world by strategic developers. Peter van der Made, CEO of BrainChip commented; "The deployment of this Client / Server Interface Tool is truly a significant event in the history of computer science. Autonomous Machine Learning has long been an elusive target, but today we have not only realized this goal, but we make it available to developers. The R&D team in Southern California has worked tirelessly over the last year culminating in today's achievement. Our potential partners and customers can now access this Autonomous Learning system, enabling them to create end user applications in real-time regardless of location or time of day." SNAP is scalable and configurable for something as simple as an Internet of Things (IOT) sensor type application, right through to the next generation of autonomous learning systems that are designed to solve complex tasks. This new Client / Server Interface Tool enables potential partners and customers to customize the design of their ideal SNAP neural processor for their specific application. The video demonstration accompanying today's release illustrates how the Client / Server Interface Tool is able to pass information over to the SNAP processor and receive results back. 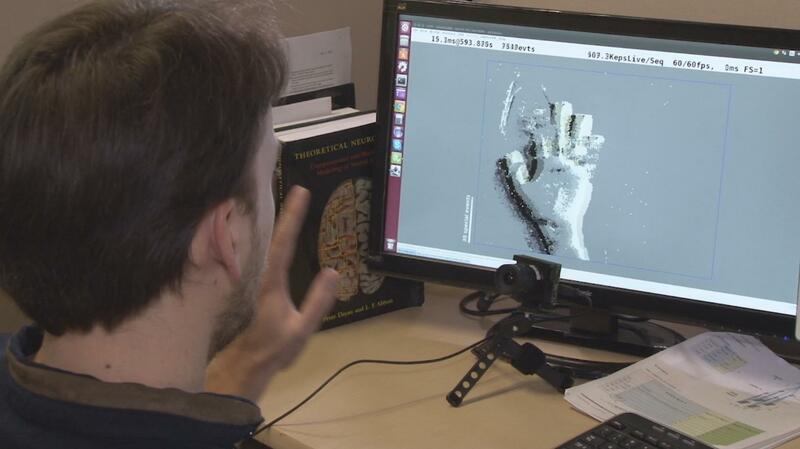 It shows a test sequence used in BrainChip's Autonomous Visual Feature Extraction system (AVFE) (announced on 23rd February 2016). In the demonstration, the client computer contains a data file captured from an Inilabs DAVIS artificial retina and passes this information across the Client / Server Interface to the SNAP processor. The information is processed at a sustained rate of sixty-six thousand events per second. For this demonstration the system was mounted on a freeway overpass in California, The SNAP hardware had no prior knowledge of what it was looking at. Within moments, SNAP learned autonomously to recognize the features in the input stream from the DAVIS artificial retina. The SNAP processor determined that something was moving in the image and learned from experience to classify this movement autonomously, just like a human would. The number of cars passing the freeway overpass during a 78 second timeframe was sent back to the program running on the laptop through the Client / Server Interface. This demonstration shows that BrainChip has achieved unsupervised learning which is a paradigm shift in Artificial Intelligence technology, and that the Company can process this information remotely. SNAP's rapid learning technology positions BrainChip at the forefront of the Artificial Intelligence sector, having clear advantages over Deep Learning. Technological advantages are its high processing speed, its ability to learn rapidly (within a few frames) and in real time, and its high-energy efficiency. The Client Server / Interface Tool is a significant step towards commercialization of BrainChip's SNAP and allows potential partners to access the technology directly to assess their requirements, and to enable BrainChip to negotiate licensing deals. A strategic part of BrainChip's commercialization process is to further build its reach throughout the AI sector and aligned business sectors by negotiating and agreeing joint marketing and technological collaboration agreements with a select number of identified companies. An example of this is the recently announced alliance with Applied Brain Research (ABR). BrainChip with the support of its collaborators will benefit from existing business relationships and potential technological interfaces that these alliances deliver. This form of alliance will expose SNAP to a much wider worldwide audience without absorbing the capital expenditure costs normally associated with sales and marketing efforts of this calibre. BrainChip looks forward to reporting additional alliances and new licensing agreements during the coming year. BrainChip Holdings Limited (ASX: BRN), located in Aliso Viejo, CA, has developed a revolutionary new Spiking Neuron Adaptive Processor (SNAP) technology that has the ability to learn autonomously, evolve and associate information just like the human brain. The technology is fast, completely digital, and consumes very low power, making it feasible to integrate large networks into Smart phones and devices, something that has never been possible before. Additional information is available by visiting www.brainchipinc.com. This press release may contain certain forward-looking statements and information, as defined within the meaning of Section 27A of the Securities Act of 1933, as amended, and Section 21E of the Securities Exhange Act of 1934, as amended, and is subject to the Safe Harbor created by those sections. This material contains statements about expected future events and/or financial results that are forward-looking in nature and subject to risks and uncertainties. Such forward-looking statements by definition involve risks, uncertainties and other factors, which may cause the actual results, performance or achievements of BrainChip Holdings Limited to be materially different from the statements made herein.